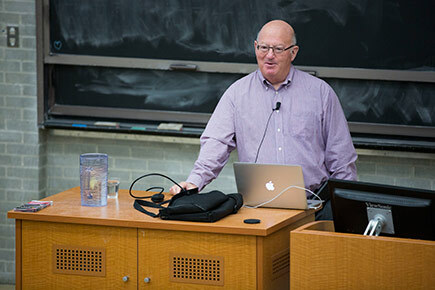 Dave Thomas, software engineering veteran and adjunct research professor at Carleton University, delivered the Technology Innovation Management (TIM) Lecture on March 8. His talk centered on the advent of massive memory storage and how it will affect the computer industry. Unfortunately, David Harris cannot deliver his March 13 lecture. The lecture will be re-scheduled for a later date (probably in May).